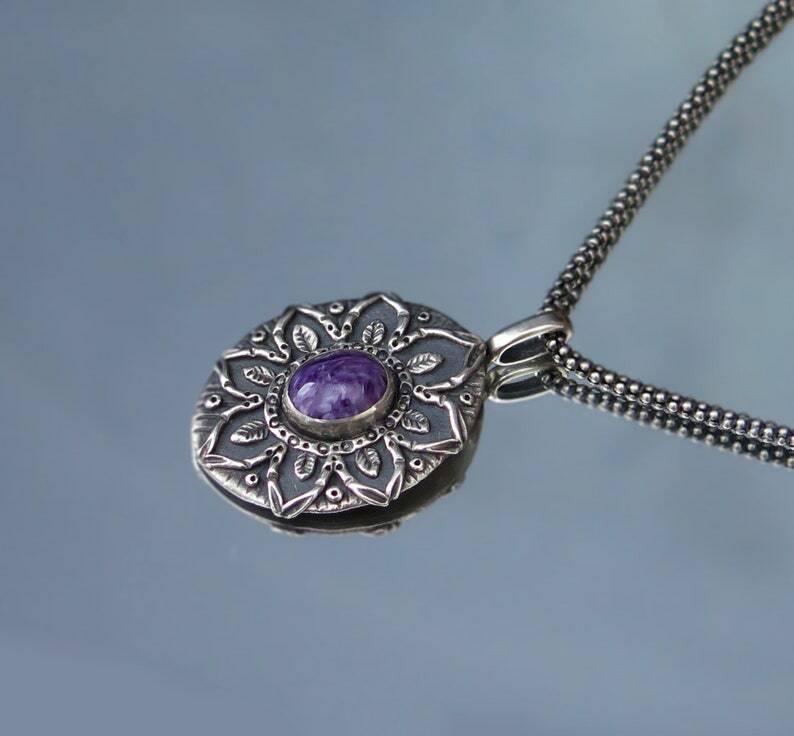 Beautiful Sterling silver 8 leaf pendant with a charoite gemstone. This jewelry is magic and unique, handmade silver necklace inspired of spring and mandalas- wonderful gift for her. Charoite stone is very special and magic, it has many good properties, it relaxes and calmes the owner, but not suitable for those who is in depression, please read about the stone before your order. It was sculped mannualy from wax and casted in sterling silver. The pendant is 24X38 mm and comes on solid silver chain (please contact me for a lenght).